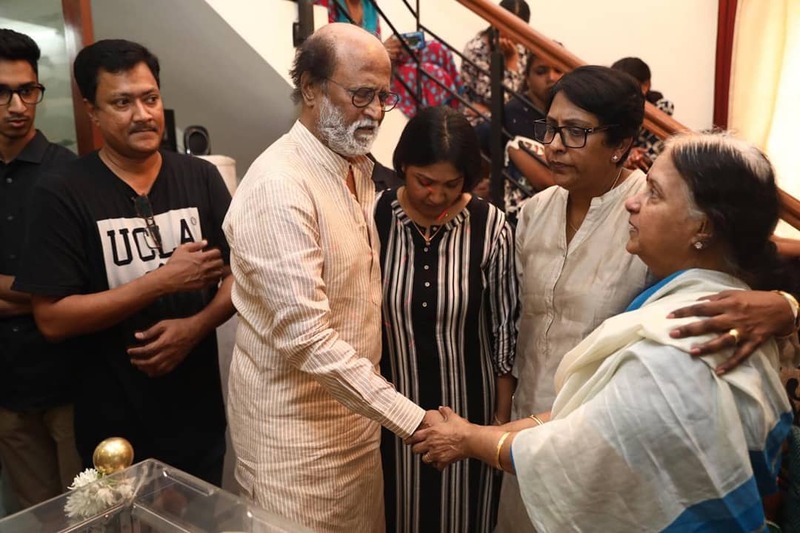 SAD: Rajinikanth becomes emotional after paying respect to veteran director Mahendran! Mahendran ace director was known for helming cult classics like Mullum Malarum, Uthiripookal, Nenjathai Killathe. He was famous for incorporating a new style of storytelling and has given breakthroughs for stars like Superstar Rajinikanth, Sarath Babu, Radikaa, Suhasini and many others. 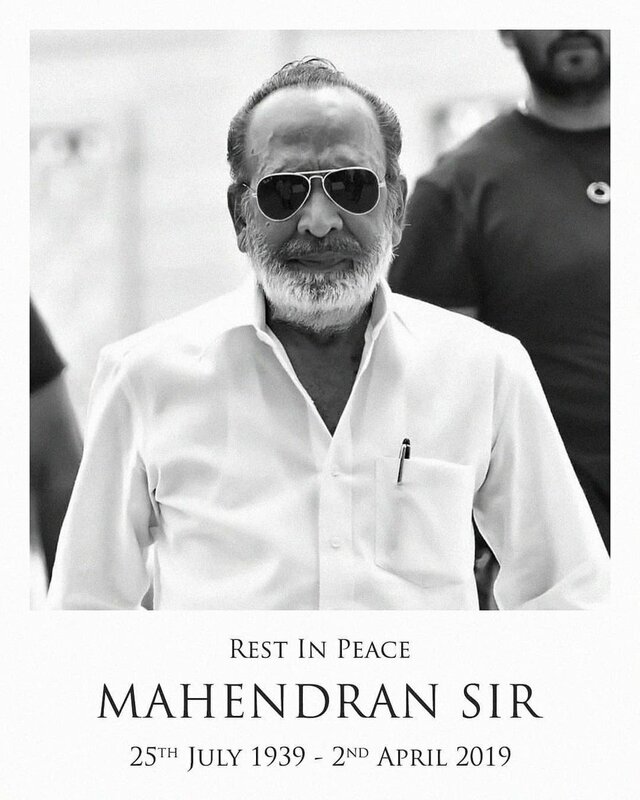 Mahendran was admitted in the hospital recently pertaining to health issues and the director passed away today (02/04/2019) morning. Veteran director’s mortal remains are kept at his residence for public homage. Celebrities from Kollywood are paying their last respect to the veteran. Director Mahendran also turned actor with movies like Theri, Nimir and Petta to name a few. Rajinikanth was introduced to Tamil cinema by veteran K Balachander got a breakthrough after the movie Mullum Malarum under Mahendran’s direction. 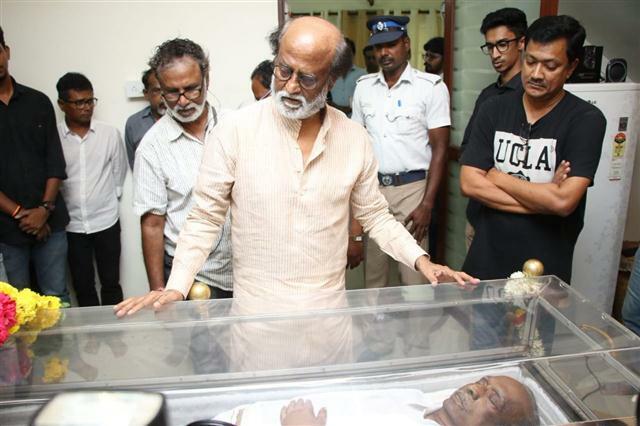 Rajinikanth came to pay his respects to mortal remains of the veteran director stated apart from being a director Mahendran also stayed as a good friend to him. He also added director K Balachander was overwhelmed for introducing him to cinema after watching Mullum Malarum. When talking about Mahendran, Rajini stated that it was Mahendran who made him realize the other Rajini in him and the aftermath success. He also said that he got to spend time with the veteran during the shooting of Petta and went on to add on about their conversation. Rajini concluded by extending his deep condolences to the family of the departed.